Gosh, haven't been on here for a while...have spent a few months back home in the US getting my head around a few things and attending an old friends funeral. Guess I'm a bit out of the loop and didn't actually think my username and password would still work! I am going home on the 28th December to return on the 4th Jan just before work (grrrrrrrr!) so will probably not be on here during that time. But hope everyone has a great break! My uncle and friends have the Internet so I could just use theirs...I'm just hoping for a busy fun filled week! It's been a pleasure and an honour to meet you guys. I've read tales of bravery and hope, and I've found a spirit in the advice that's given - and how it's taken - that's hard to find in the 'real' world. I shall miss you. I've been trying to think of something clever and insightful as a last thought, but the best I've come up with is this: whatever pain you feel right now, chances are that by this time next year, you'll struggle to remember what it was. And if that pain won't go away, well, you've come to the right place because you're in safe hands here. ps - don't forget your long johns, clean hanky and memo pad with a list of your favourite ice creams. For emergencies, y'know. Yup, I'm beginning to freak out slightly about it. Mum came out with another classic while the cat was on my lap the other night. "The cat will probably be dead by the time you get back". And she eats jam doughnuts with a knife and fork. And she adds salt to oranges. And I don't think she has ever once finished a portion of i** c****. So you've got your work cut out with her. I'll send her over by registered post in the morning with thanks. Dad will be with you some time later when he's worked out his TomTom. Wow reckoner, good luck with your adventures, it sounds fantastic. I for one will miss your brilliant insights on PP! 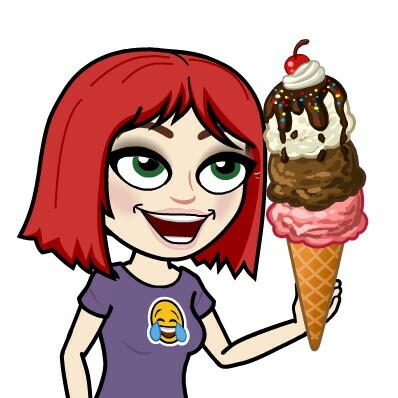 As for ice cream in Japan, I don't know about salt flavour, but there are many wierd and wonderful flavours here, such as rose, lavender, many kinds of tea, sugar flavour, and loads more I can't remember! Bye, Reckoner. Don't forget us. Mmmm, sugar flavour ice cream - I always knew it had to exist. No messing around with strawberries or bananas - just sugar. Mmmm . . . .
Wow lots changed since I've last been here!! How are all the oldies? I've been ultra busy with lots of new projects - hence the lack of me here! Hope you have a fantastic journey and many adventures. Even though I don't know you in person, I'm going to miss you. You've got a level-head on your shoulders (apart from the tosh you and Peecee get up to ) . Have fun - I'm really quite envious. Welcome back. Missed you. How's uni/life??? ?